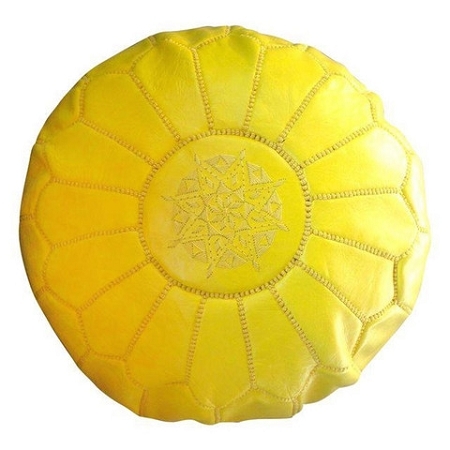 The table and poufs or pillows set provides a very comfy corner in your home in the living areas or in your bedrooms. Since the tables come in a natural wood finish, you can also varnish or paint them if you want to match them with your other furnishings. 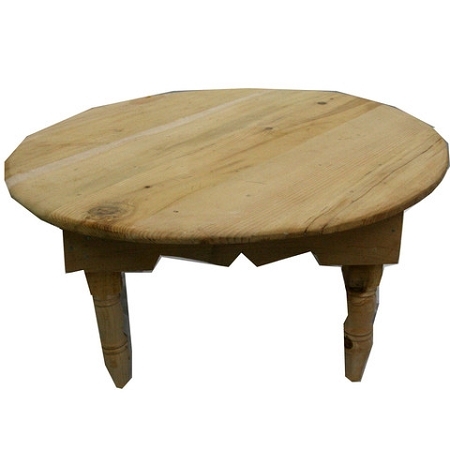 Tom Occasional Table Size: 60 cm (24") diameter / 40 cm (16") height. 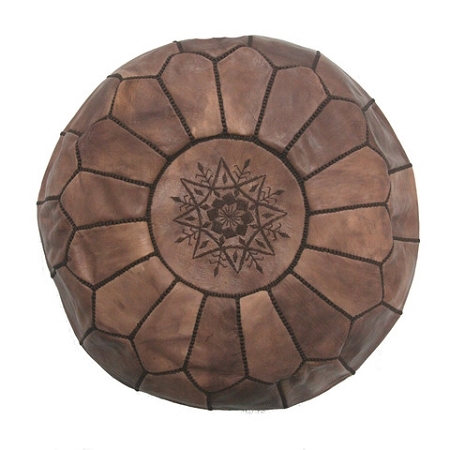 Jerry Occasional Table Size: small 40 cm (16") diameter / 40 cm (16") height. 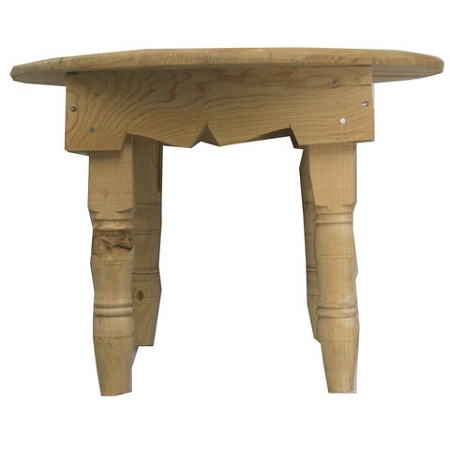 Both tables are handmade in Morocco from eucalyptus wood. 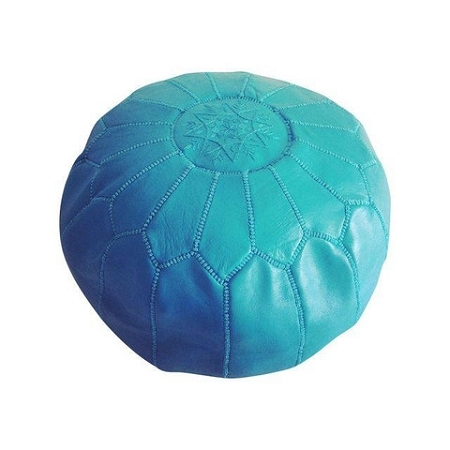 The Rocco Classic Moroccan Pouf comes unstuffed but is very easy to stuff with used shopping bags, old clothes, cushion inserts or shredded foam. 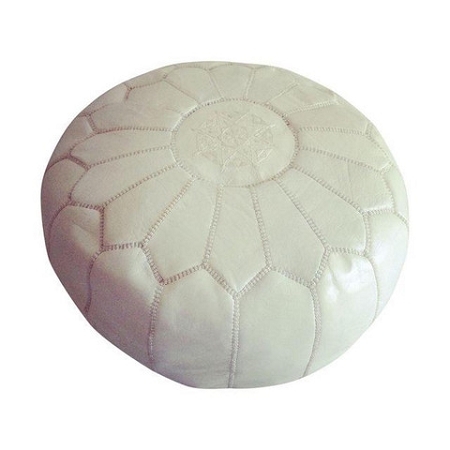 This versatile leather pouf can be used as a footstool, occasional seating or as a side table with one of our beautiful trays on top. 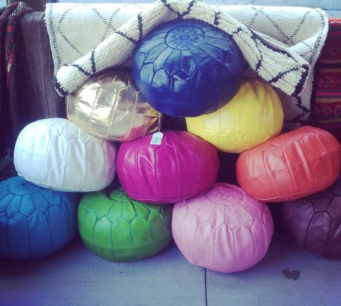 Since they come in many colors, have fun and add a pop of color to any space. Choose your color: Brown, Fuchsia, Gold, Green, Navy, Orange, Pink, Turquoise, White, Yellow, Black and Silver. Two Poufs in one same color. 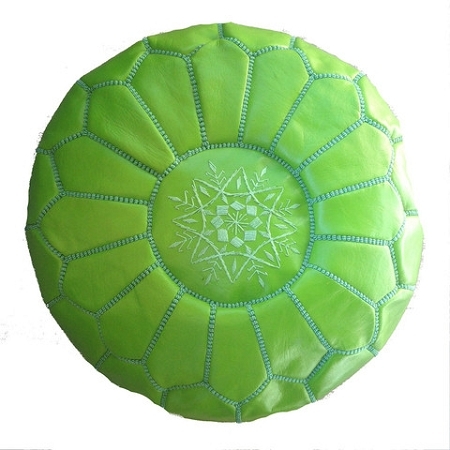 Size: 50cm (20") diameter x 30 cm (12") height. 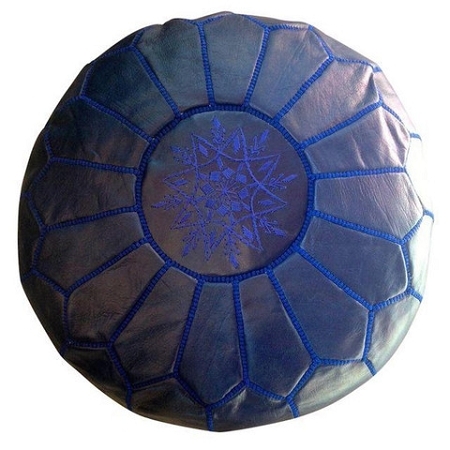 Handmade and stitched in leather in Morocco. 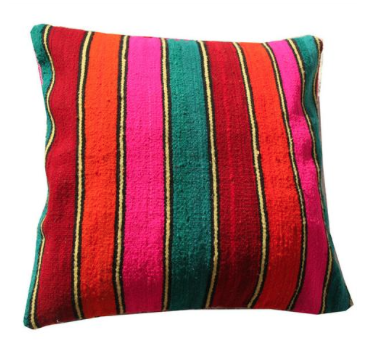 The Kilim Cushions in Medium are hand loomed by the Berbers in the Atlas mountains of Morocco, each piece is one of a kind. TRENT and MITCHELL Patterns come in Size: 55 cm (21.5") x 38 cm (15"). 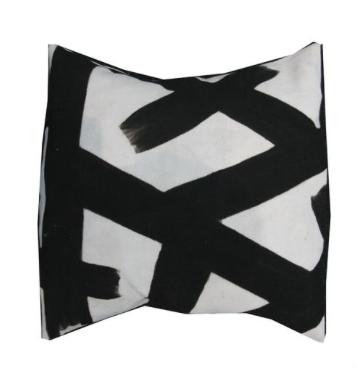 The African Mudcloth Pillow Cushions in Large are handpainted on organic cotton by skilled artisans in Mali, (North African) carrying on their centuries old tradition. The best quality you will find of Mudcloth. Two Patterns to choose from AB-APCWL-01 WEARSTLER / AB-APCDL-01 DOTS, please specify. Size: 60 cm (24") x 60 cm (24"). 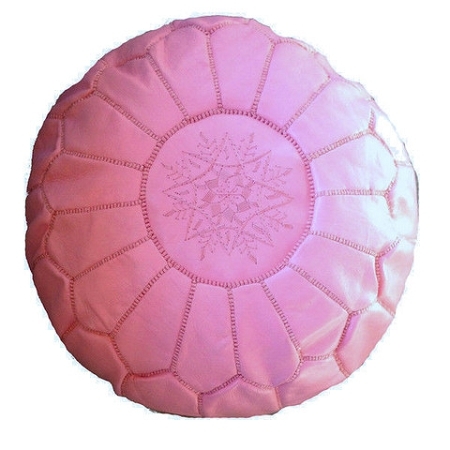 The Blanket Pillow Cushion comes unstuffed but any pillow insert can be used, dry clean only. 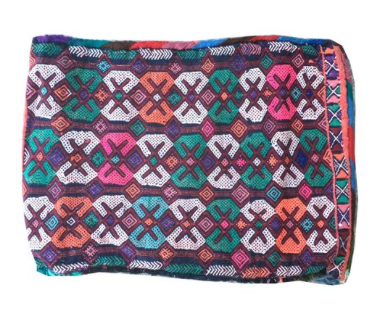 Custom-made from hand-selected vintage Moroccan blankets, this beautiful pillow cover will add a boho-chic touch to any room. Two patterns: JOE and LINUS, please specify. 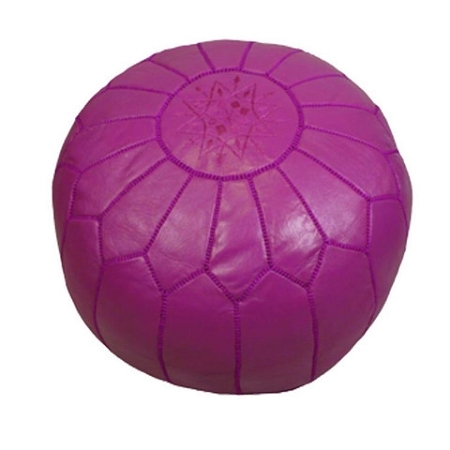 Size: 63.5 cm (25") x 63.5 cm (25"). 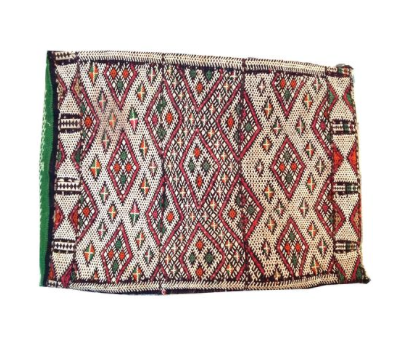 The Moroccan artisans recycle these slightly damaged beauties by having pillow covers handmade from the good parts of the blanket. 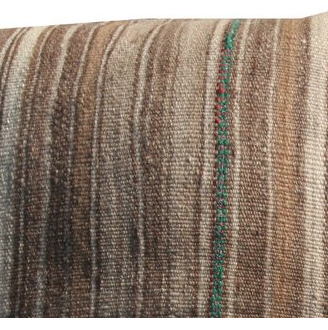 They also recycle these slightly damaged beauties by having floor sitting cushions handmade from the good parts of the blanket. 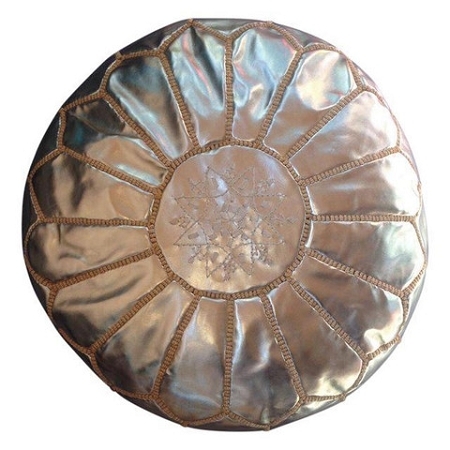 Each is one of a kind and sizes vary slightly, adding to the handmade and genuine feel they bring to your home. 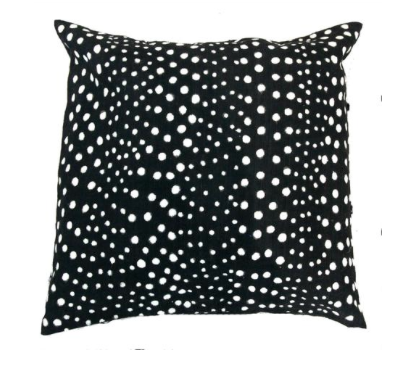 These pillow & sitting cushion covers comes unstuffed, but is easy to stuff with used shopping bags, old clothes, cushion inserts or shredded foam. Handmade in Morocco. Please be aware that our textiles are vintage and come to you from abroad. 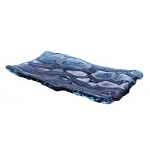 Having been stored in a warehouse, it is possible that they need airing out, we recommend placing them in a sunny spot for a day. All have been cleaned in advance of shipment, any additional cleaning is the end consumer's responsibility. Dry clean only.